Welcome to Play Mc Free! Sign Up -or- Log In. On the Homepage are detailed instructions on how to play Minecraft demo for FREE! We also have many Mods and Custom Maps, we also have Forums! So go get active and have fun on Play Mc Free!! :) Every Mod you recomend will be added to our site so please help us grow! 1.) Download the Minecraft Files at the bottom of the page. 2.) Click Save File and wait for files to finish downloading. 3.) For Security Scans, click HERE. Secondary HERE. 4.) Open the .zip File and click Extract All. 5.) 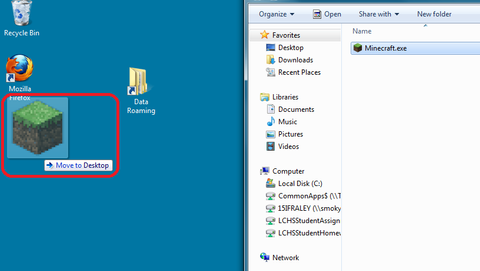 Once you have extracted the files, There will be three icons in the new folder. Drag the one labled Application Data to your desktop. 6.) Open the Application Data folder and you will see this menu. The floders may vary from the ones in the image. 7.) 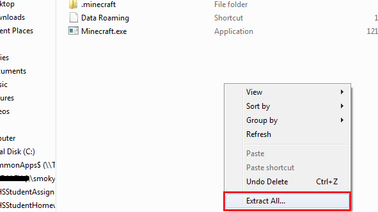 Now click and drag the .minecraft folder into the Application Data folder. 8.) You can exit out of the Application Data folder now. 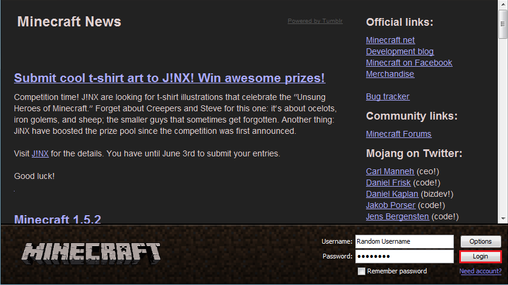 Drag the Minecraft Application to your desktop or where ever you want it to be. 10.) An error will be displayed that says could not connect to Minecraft.net. There will be 2 options, Retry or Play Offline. 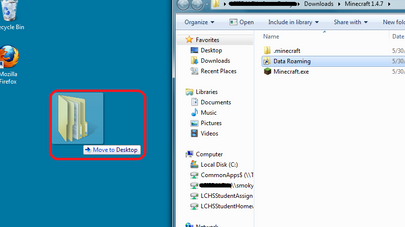 Click Play Offline and enjoy playing MC at school! 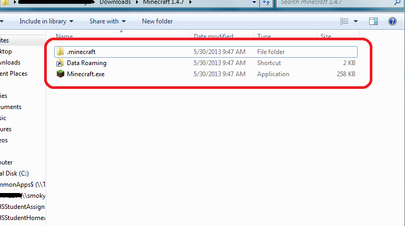 Download Minecraft 1.5.2 Files HERE! 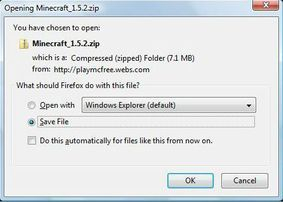 Download Minecraft 1.4.7 Files HERE!